Enjoy endless possibilities at U.S. LOFT stores. Selected styles are now available in BOGO offer. Buy one, get one with 50% discount. 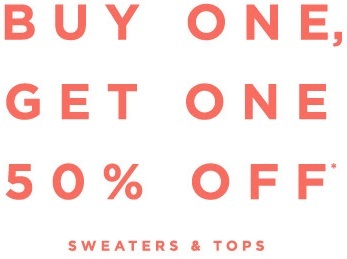 Offer is valid on full-priced styles. Source of the information is LOFT USA. Find your nearest LOFT store in the U.S. through our locator. More information about the sale available at LOFT stores.